Here’s Nicole Scherzinger looking all dolled up while exiting BBC Radio 1 Studios in London about two weeks ago. Although the woman is such a beauty, I can’t help but feel that her outfit has too much going on. Allow me to enumerate it for you – there’s the studded hat, the fringes on her blouse, then the over-the-knee boots. Don’t you think it’s just a tad overdone? Would you say she looks hot in the outfit, or definitely not? In my opinion, if she had gone with plain black pumps and a plain hat, the outfit might have worked. 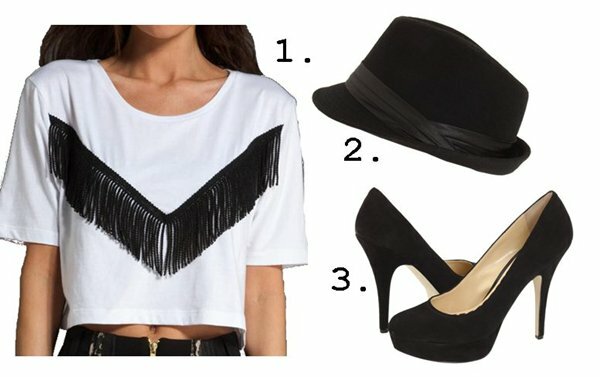 However, if you like Nicole’s look, you can grab it with the following options, but please try not to go overboard.